At a Swindon Borough Council Scrutiny Committee meeting on the 7/2/2011 a Swindon Borough Councillor stated that the Council, (Swindon), or a member of the council, or other person acting on the members/councils behalf, had recently submitted a freedom of information request to West Lothian Council in relation to members of the public who may have contacted West Lothian Council in relation to Digital City (UK) Ltd and the Bathgate WiFi scheme. Specifically, I understand that members of Swindon Borough Council, or other individuals acting on their behalf, are seeking to determine the identities of correspondents who have contacted West Lothian Council in relation to Digital City (UK) Ltd and its recent involvement with the Bathgate WiFi scheme. 1. Has West Lothian Council received any requests, (either freedom of information requests or enquiries by other means), for copies of correspondence between members of the public and West Lothian Council concerning Digital City (UK) Ltd and the Bathgate WiFi scheme? 2. If such requests have been made, who made them? 3. Please supply copies of any requests received. 4. If such requests have been answered, who answered them? 5. If such requests have been answered please supply copies of the answers. 6. 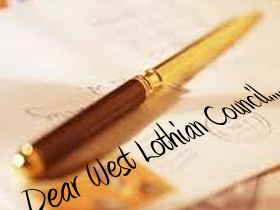 Will West Lothian Council publish or release the names and addresses of members of the public who correspond with it, if such information is requested by another council, member of another council or member of the public?